I am excited to have finished the seasonal section of the “Zerbitron” albums. Here is the fourth albums titled “Spring Memories”. This album covers the moments of Spring’s past from 1980 to 1989. Each song represents a moment in those years of which we lived as free spirited children running through life without limits. I hope you enjoy those moments with me. Welcome to Ep. 2 of ZZRB Radio! Enjoy another seven songs from my collection of many as we head in the month of May. 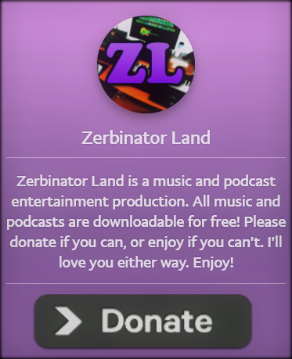 Thanks for all your very kind responses, and I look forward to more music and broadcasting on ZZRB Radio! Enjoy!